INDIA . . Hindus In Kerala . . .Drums in the jungle at night sound fearsome, but I follow the sound two miles to this scene where I lurk. 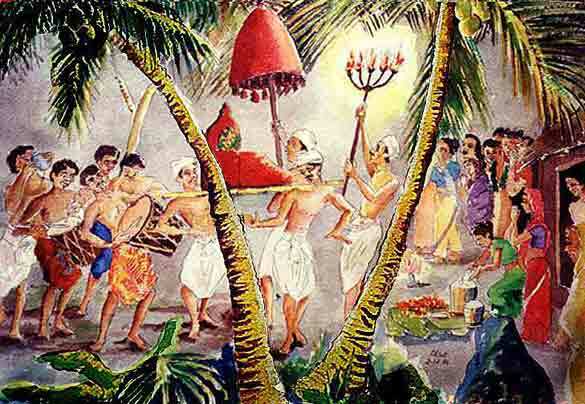 Men from the temple carry a diety. The householders spread their offerings on the hearth. I scamper back to our hut, light a candle and paint the scene from memory on a large sheet of watercolor paper, finishing at dawn. It hangs on our wall today.